Don’t miss this opportunity to learn more about the structure of the U.S. cattle industry and gain insight on the legislative process that guides our business. 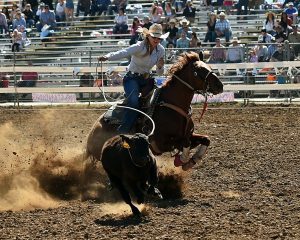 Montana Stockgrowers Foundation will send one Montana delegate on this year’s Young Cattlemen’s Conference (YCC), held May 29 – June 7, 2019. Applications, due March 15, are available at mtbeef.org. The Young Cattlemen’s Conference is an opportunity for cattlemen and cattlewomen between the ages of 25 and 50 to visit segments of the beef industry in other parts of our nation with young ranchers from other states. Facilitated by the National Cattlemen’s Beef Association (NCBA), participants will travel with national attendees to Denver, Chicago and Washington D.C., visiting OSI, Inc, McDonald’s Global Headquarters, and Capitol Hill. The primary objective is to develop leadership qualities in young cattlewomen and cattlemen and expose them to all aspects of the beef industry. The tour helps these young leaders understand all areas of our industry ranging from industry structure to issues management, from production research to marketing. The Montana Stockgrowers Foundation will ensure funding for one participant for the full cost of the tour along with travel expenses. Remaining expenses are the responsibility of the participant, who will be chosen from those who apply. Participants must be a member of Montana Stockgrowers Association and National Cattlemen’s Beef Association. To learn more about the Young Cattlemen’s Conference and to complete an application, visit the MSGA website. All applications must be complete and postmarked or received by March 15, 2019. Please mail or fax to MSGF at the following address: Montana Stockgrowers Foundation | Attn: YCC, 420 N. California St. Helena, MT 59601. If you have any questions about the application process or YCC trip, please call the MSGA Office at (406) 442-3420 or e-mail kori@mtbeef.org.